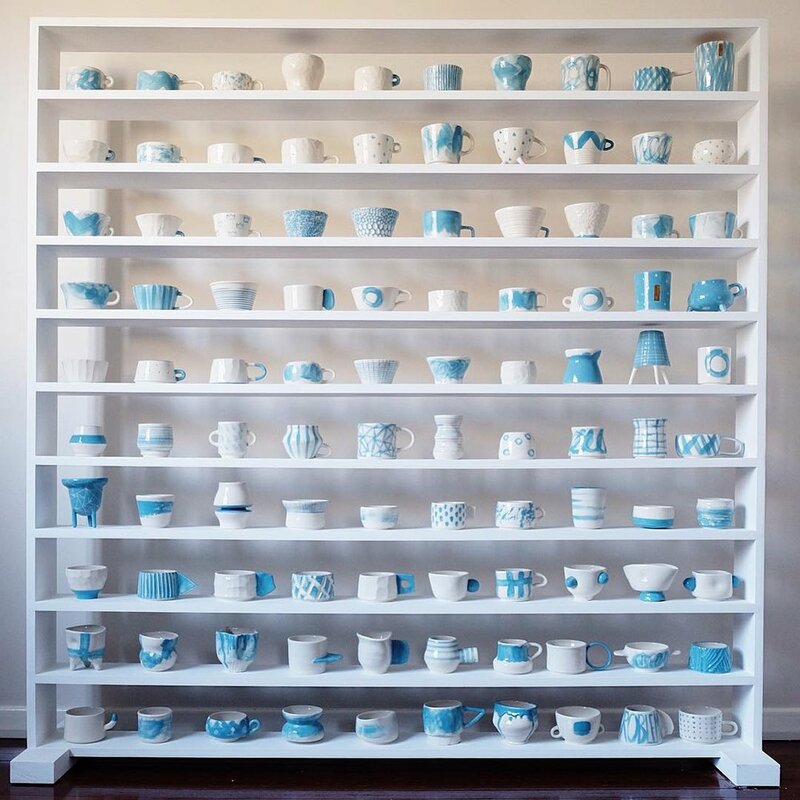 #100daysofmugs was a project in response to the #100dayproject. The project explored the boundaries of process by pushing myself to create something new day in, day out. Inspiration was drawn from many sources, in particular my travels abroad to Turkey and Japan. Blue was the colour of choice for the project, an ode to the beautiful mosques, tiles and jewellery encountered through my travels. I also gained much of my inspiration from nature. These simple forms are reflected in the textures and shapes of the mugs I created. Each piece has explored the concept of form, function and shape, going beyond the boundaries of functionality and into the realm of abstract art.